Small 4 Style: Enter the Hanes Hosiery Celebrate Your Style Sweepstakes! Enter the Hanes Hosiery Celebrate Your Style Sweepstakes! 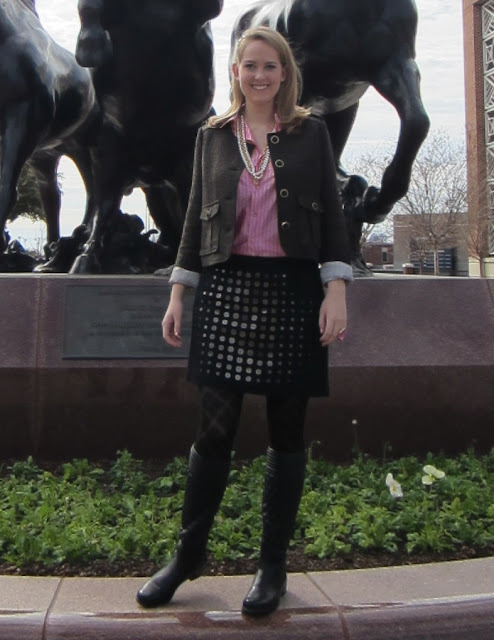 I just entered the Hanes Hosiery Celebrate Your Style Sweepstakes! The challenge is to style a look wearing tights, upload the photo, and enter for a chance to win a Visa gift card and Hanes Hosiery! Here are my entries for the sweepstakes, you should enter too! The contest ends on 3/21/12, so enter soon! I really like tights too!